Hard to imagine that Halloween is next week, and that soon all the beautiful leaves will be off the trees, cold weather will set in, and we'll be counting down the days to Christmas. I want to savor the colors and textures of Autumn just a little longer, so I'm sharing some features today that do just that. Maria from Rusty Hinge has a way with her camera. She knows how to bring you in to her subject matter, making you feel like you can reach out and touch her subjects. Last week she shared some Fall vignettes from her home, and I wanted to share them with you. If you haven't met Maria, you'll find yourself browsing back through her blog posts and enjoying each photo. from Alison at Stuff and Nonsense...yum! 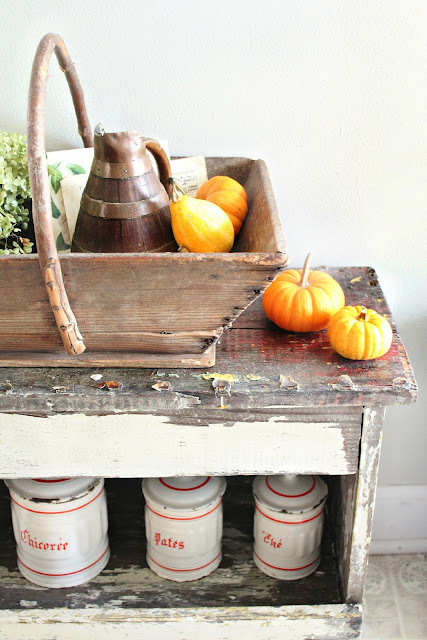 Hope you'll come link up all your Fall Fun and vintage inspiration. 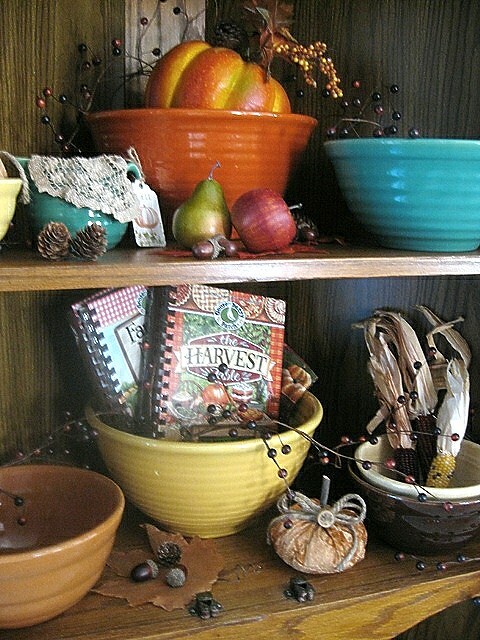 recipes...and anything old or new that celebrates Fall. where you'll find an amazing variety of vintage finds. Dee is having a Sale so be sure and check out her site. Hope you'll join in these other great Friday Parties! and making this party so much fun. I love vintage, so this has become one of my favorite link parties! Thanks for hosting it! Autumn is one of my favorite times of the year... these are all beautiful features. Hope you are having a great day! I love the features today; Maria's home is charming! I am sharing with your readers an inspiring fall walk in the woods and a simple bouquet from all the gathered treasures. Awesome features! Love them all. Debra, thanks a million for featuring the Halloween gallery wall, I am so honored! I keep linking up at your beautiful party even if I don't have the resources for antiquing, but to be featured has just made my day! Hi Debra: Thank you for hosting the party today. 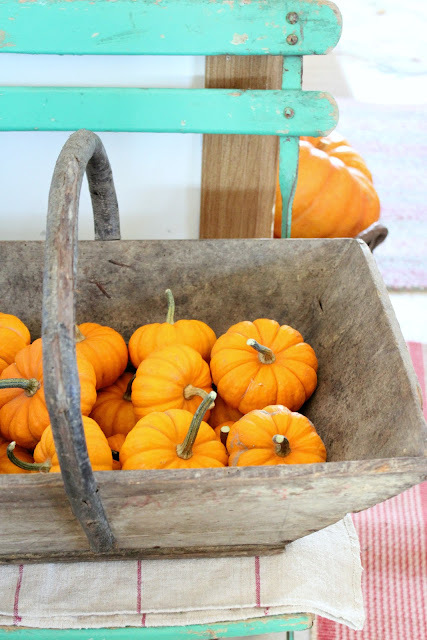 We have a wonderful sunny day today--I love autumn weather and the leaves and pumpkins and everything cozy about it! I enjoyed the features. What a gorgeous Autumn post. I love all the beautiful oranges, reds and golds that come with the season. Thank you so much for hosting such a fun party. 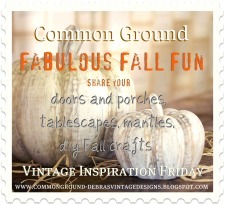 What fabulous fall features Debra! I was out today soaking up fall at a local state park on my son's field trip! It was beautiful! Thanks for hosting and for joining HSH! Debra, what a fun party! Your features are great! 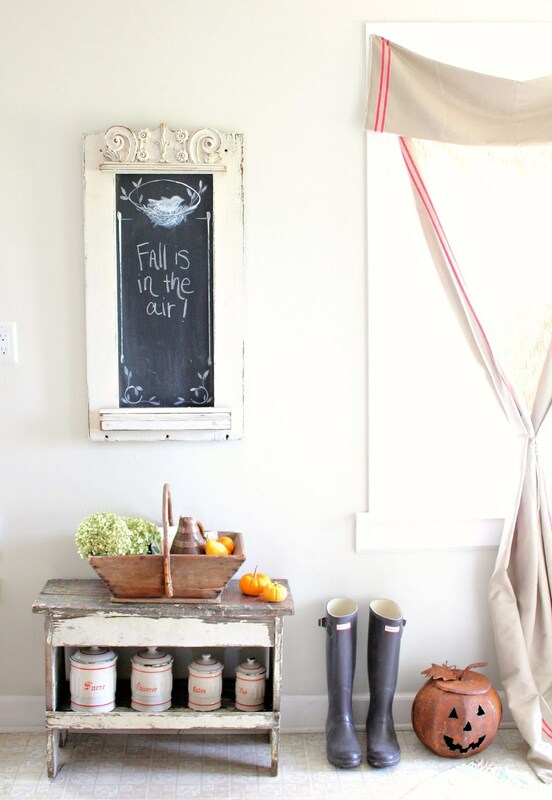 Your Fall vignettes are so pretty! Thanks for hosting another great party! Have a wonderful weekend! So pleased to have something to link up this week. Thanks for hosting Debra. Maria has a great eye. Nice feature choices, Debra. Thanks for hosting. What beautiful features,Debra. Thanks for hosting. Such lovely Fall photos. Fall just arrived here, finally! Believe it or not, it was over 80 until just recently. Now, I finally feel like getting in the mood for Fall, only to not care anymore and I am moving on to Christmas! Oh well, welcome to California! Great features Debra. Marias pictures are wonderful! I like those canisters too! Great features and thanks so much for hosting!! Thank you so much for hosting Debra! Maria at the rusty hinge does have an eye for photography! LOVE her blog.I am inspired by all of your features! Debra, Thank you so much for always hosting a fun party. I love meeting new friends that you have featured. They're always so inspiring! I can't believe it's going to be Halloween too! This holiday is going by so fast. Have a great weekend. I missed Danielle's! Nice features! Thanks for hosting. Love seeing my house on your header. Thanks, Debra! Debra - those are some amazing features. Thank you for hosting. 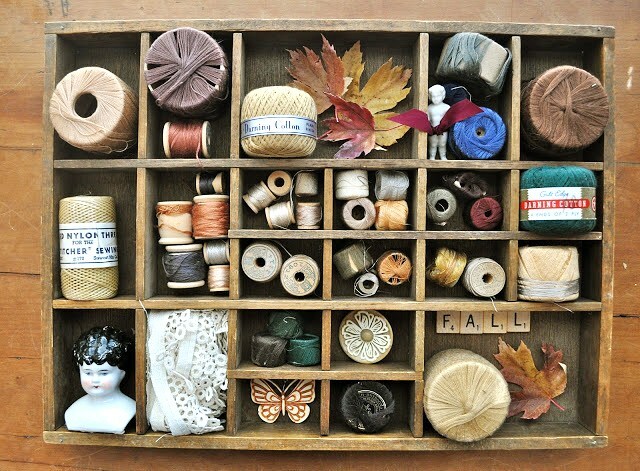 That was so sweet of you to feature my fall shadowbox. Thank you. WOW!! Those pictures are SO wonderful AND inspring.. I really need to work on taking better photos for sure!! Lots of great inspiration there, Debra. Thanks for hosting this fun party and for sharing some of your favorites. Thank you for hosting! Beautiful features!! thanks for hosting, Debra! Love this party!! I also had to tell you, that thanks to your Monday Marketplace party, I found a great Etsy shop- and I am hoping to start stocking some of their product for Christmas via a wholesale order! :) Thank you! Your parties are bringing us together!! Debra, I am so glad you hosted this fall party again today. As I am up in the middle of the night, not able to sleep I have cruised through & found some great blogs to read that are new to me. Love all the Fall inspiration you shared. Have a great weekend. HUGS! What beautiful features Debra...thank you so much for hosting. Oh this is my favorite time of the year so I am just taking in every minute of it! I linked up a few photos of the fall foliage from here in NJ. Happy Friday! Happy Fall! Thank you for hosting. Great features Debra! Your party is always so much fun. Thanks for hosting! A lot of inspiration from so many blogs to visit! Debra, you've got some beautiful inspiration here. And I'm always happy to join in on your party, thanks for the kind words today. Thank you for hosting! We haven't had much chance to enjoy fall yet. Our trees have not yet changed colors and I hate it. We usually go from summer to winter and skip fall altogether lol! Thanks for the fall inspired features.